Mother’s milk provides complete and valuable nutrients for baby’s ideal growth and development. It’s rich in antibodies for protection against diseases, proteins for growth, and carbohydrates, fats, and minerals for brain and nervous system development. Some studies even indicate mother’s milk enhances cognitive development and reduces the risk of childhood obesity. 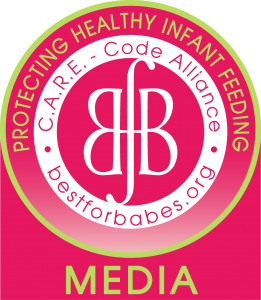 Since its inception, the American Academy of Pediatrics has been a staunch advocate of breastfeeding as the optimal form of nutrition for infants, with artificial milk (formula) a very distant second alternative. The American Lung Association states that babies who are breastfed for at least four months are less likely than formula-fed babies to develop asthma, the leading cause of childhood hospital stays in the United States and Australia (Kaufman, 1999). Babies aren’t the only ones who benefit from breastfeeding. Mothers who breastfeed lose weight more quickly after giving birth and their postpartum bleeding is usually lessened when compared to mothers who do not breastfeed. Oxytocin, a hormone released during breastfeeding, helps shrink the uterus and return it to pre-pregnancy size. The hormones released with breastfeeding act as a type of contraceptive to delay ovulation and fertility (American Academy of Pediatrics, 1997). In addition, breastfeeding activates a calming effect through the release of the hormone prolactin, which increases mother-baby bonding while initiating and maintaining milk production. Some studies even indicate that breastfeeding may reduce the incidence of breast, uterine and ovarian cancers (Radetsky, 1999) and in the long term may reduce a woman’s risk of osteoporosis by increasing bone strength. Because breastfed babies are generally healthier than formula-fed babies, they require fewer expensive medications, doctor visits, medical tests, and hospital stays. Costs to the federal and state governments could be reduced by billions of taxpayer dollars if we had more breastfed babies and this estimate does not factor in “lost work time” by parents who stay home to care for a sick child. From an environmental standpoint breastfeeding requires fewer natural resources in the form of glass, aluminum, paper, and plastic for packaging plus the products required to prepare and provide baby formula. This is a very special time for you and your baby. You’re forming emotional bonds that will last a lifetime and offering your baby the healthiest combination of nutrients possible-an ideal way to start life. Although you’ll be very focused on your newborn, it’s also important that you consider your own needs. In the long run, that will benefit both you and your baby. For instance, try to rest when your baby rests rather than catching up on housework or laundry. The extra rest will help elevate your attitude, complete your postpartum recovery, and help establish your milk supply. The World Health Organization recommends exclusive breastfeeding for the first four to six months of life and continued breastfeeding until at least two years. The American Academy of Pediatrics recommends exclusive breastfeeding for six months and continued breastfeeding for a minimum of one year, but offers no upper limit.